And after checking them out I realize that he is giving the printable templates away for free. You just download them off of his site, Made By Joel. And here is the crazy part. The part about how the internet is so big that you just can't possible see it all. 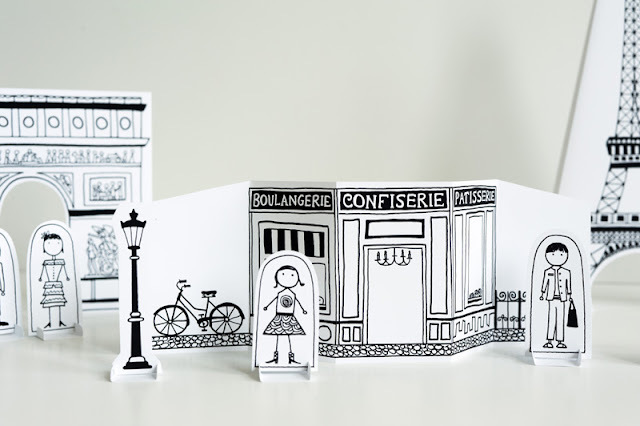 He has been sketching these cute people and cities for over a year and I have never seen them before. Never. There is a city and cars, helicopters and people, Australia, a road trip, and now Paris. And you can get them all HERE. I have downloaded them all and can't wait to show them to Ruby. They will be the perfect thing to cheer her up after her big brother and sister head back to school. 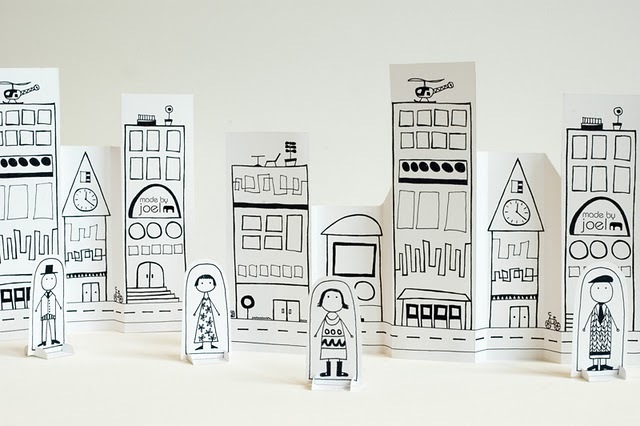 PS - Some of you may have seen the cute paper city road trip set in Family Fun magazine. It is in the summer issue, one that was neglected by me. Which is too bad, because if I would have read it I would have known about these cute paper people before my own family roadtrip!